Radio Hill Operations - a strategically located, refurbished 0.5 Mtpa processing facility with a new gold circuit. Carlow Castle: one of Australia's most exciting cobalt discoveries. Purdy's Reward - derisked conglomerate gold strategy via a 50:50 JV with Canada's Novo Resources Corporation. New gold circuit being installed to enhance metallurgical capability. Artemis Resource Limited (“Artemis”) is the first Australian exploration and development company to consolidate a large, West Pilbara land package that is prospective for base, battery and precious metals with a strategically located and refurbished processing facility. Artemis is listed on the Australian Stock Exchange (ARV: ASX), Borse Frankfurt Stock Exchange (ATY:FRA) and the US OTC (ARTTF:US). 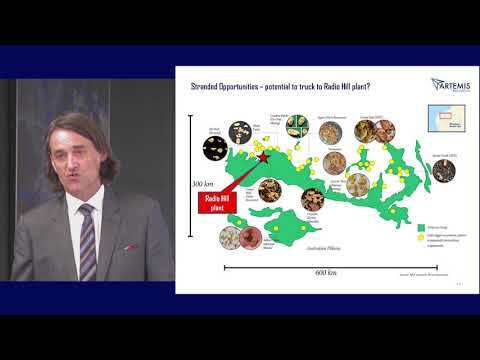 Novo Resources live-streamed gold exploration from Purdy's Reward at 1:15am to the Denver Gold Forum. 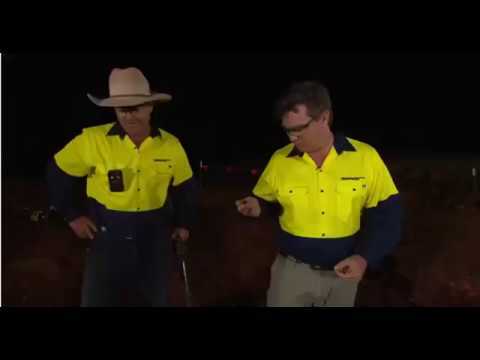 Metal detecting, jackhammers, cowboy hats and gold nuggets. CEO Wayne Bramwell presents in Perth, WA on our new 2019 corporate update, as hosted by Chapter One.